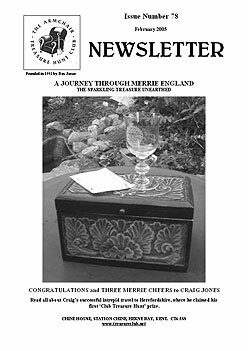 Cover Photo: A Journey Through Merrie England: the sparkling treasure unearthed. James McLaughlin continues his article on The Code/Armchair treasure hunting on the ZX Spectrum. more from James McLaughlin on The Code/Armchair treasure hunting on the ZX Spectrum. 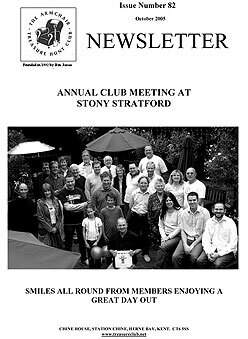 Cover Photo: Annual Club Meeting at Stony Stratford - Smiles all round from members enjoying a great day out. Brian Souter reports on the success he, Martin Dennett, Paul Harkin and Chris Gowland shared in the national Tetley's Golden Pint £10,000 hunt. 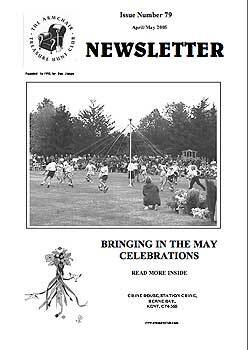 Dave Blakeway and Roger Lintott report from the 2005 Club Event in Stony Stratford. Roger Lintott talks to Gary Potter, a representative of the publishers of Maranatha - et in arcadia ego to enable our readers to decide whether to participate in this milliopn pound hunt. 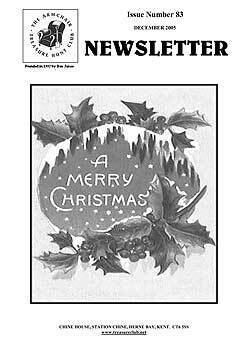 Sandra Young goes Down Memory Lane with some facts on Christmases past. 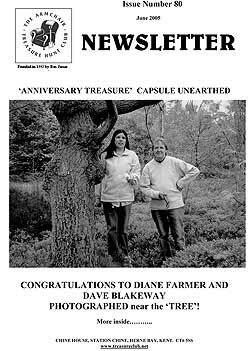 We reprint an article by Gary Skentelbery of the Liverpool Daily Post: A search for Lost Ring Leads to Hoard of Ancient Treasure. 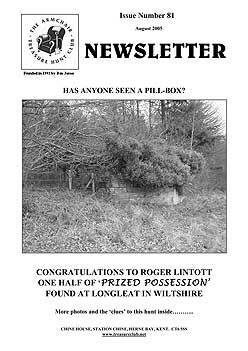 Jim Goddard of the Surrey Earth Mysteries Group contributes to a History of Ley Hunting. Club member Terry Lyndon publishes an extra clue to his Dark Arks of the Covenant.